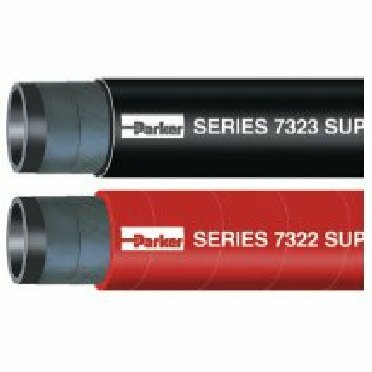 Red/Black Super-Flex general service air and water hose. Compatible with light oil mists and features a rigid mandrel construction that produced a true round concentric profile for superior coupling fit and retention. Cover is resistant to abrasion, heat and ozone.